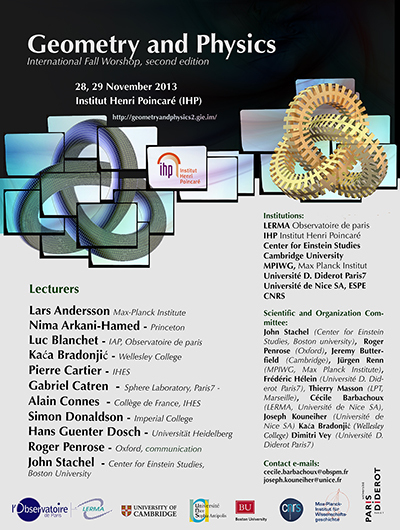 Geometry and Physics II International Fall Workshop, second meeting, will take place at the IHP (Institut Henri Poincaré), the 28th and 29th of November 2013. The first meeting, which was very successful, took place at the 29th october 2010 please see the web site of the conference Geometry and Physics I. 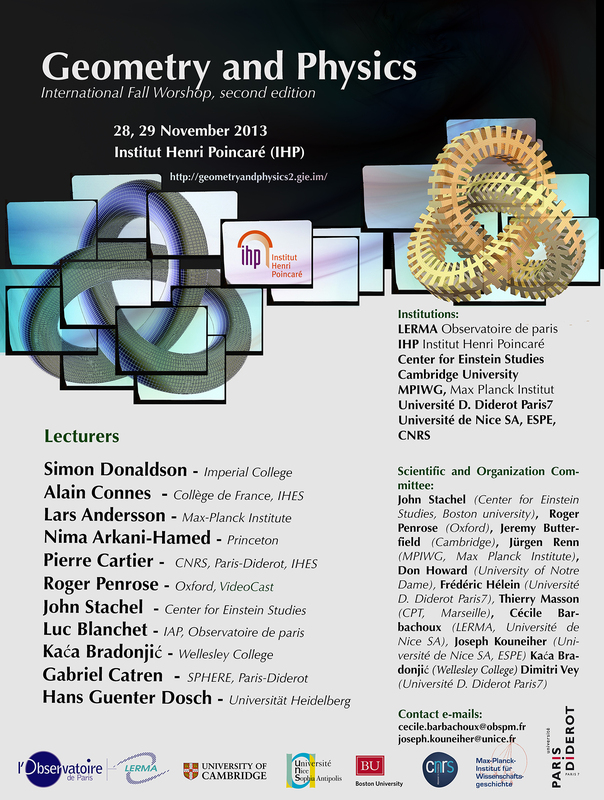 The lecturers were : Maxim Kontsevitch, Alain Connes, Roger Penrose, Robbert Dijkgraff and Carlo Rovelli. The spirit of the meeting is to reflect the profound interaction between geometry and physics and the influence between them, and of course the new developpements in those fields.